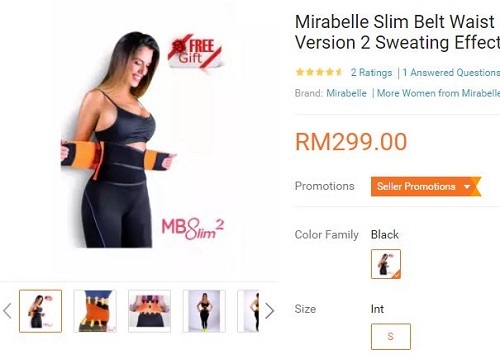 Slimming Belt Review In Malaysia – Which Is The Best? Would you spend a few hundred ringgit to buy these belt? Slimming belts are something quite new to me. I have never used one before so I can’t tell you whether it works of not. To be honest, I am not very sure how it works. What I do know is there are alot of branded slimming belts available in Malaysia. You can see these belts being sold in shopping mall and also on online shopping portals. Let’s find out how these slimming belts work, shall we? Let’s begin with Mirabelle. 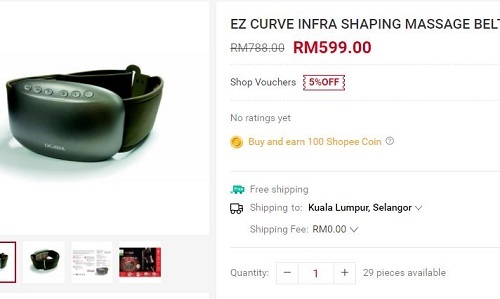 I found one selling on Lazada Malaysia. It seems the Mirabelle slim belt is a type of body shaper that helps your mid body to sweat. It claims to be able to flatten your belly and helps to burnt calories. One thing I know about body shaper is they are not very comfortable and certainly you can’t wear them to sleep. Next, it is the Ogawa EZ Curve. I found one of this selling on Shopee Mall. The Ogawa slimming belt uses vibration, heat therapy and infrared rays to help you to get rid of body fats. The design is nice but I think you can only use it a few minutes a day. 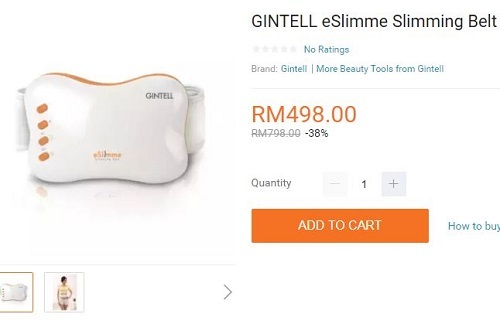 The third on the list is Gintell eSlimme slimming belt that I found on Lazada Malaysia. The eSlimme belt is a massager that can trim your waist, buttock, calf, upper thigh, abdomen etc. Price wise, I think it is quite expensive for an electronic massager. 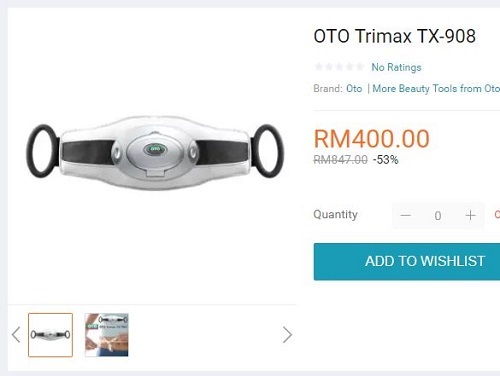 Next, we have the Oto Trimax 2 which is available at Lazada Malaysia. Similar with the other slimming belt, it is also a type of vibrating massager for your waist. I think you can see a pattern by this point. The slimming belts available in Malaysia are none other than glorified mini body massager. Can a mini massager help you to lose weight? There are quite a few limitation with an electronic messager. Although it is small, but you can’t use it outside of your home. You also need to be connected to a power source meaning there will be electric cable all over. Lastly, you can’t use the massager on your body for too long because it may cause rashes on your skin. Is there a better alternative to a slimming belt? It is the Aulora Pants with Kodenshi from Japan. The Aulora Pants is a type of leggings made 100% in Japan and imported into Malaysia. I can confidently say it does work because I have been wearing it since I bought it back in December 2017. If you want to know why I decided to buy the pants, you can read my personal story here. How To Start A Part Time Business Selling Japan Slimming & Wellness Pants In Malaysia? What Is Kodenshi Fiber And How Does It Work?